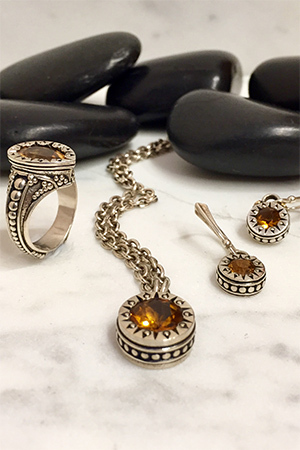 Sterling, 14k gold and Citrine set. Left ring: $380. Central pendant: $530.00. Right earrings: $380.